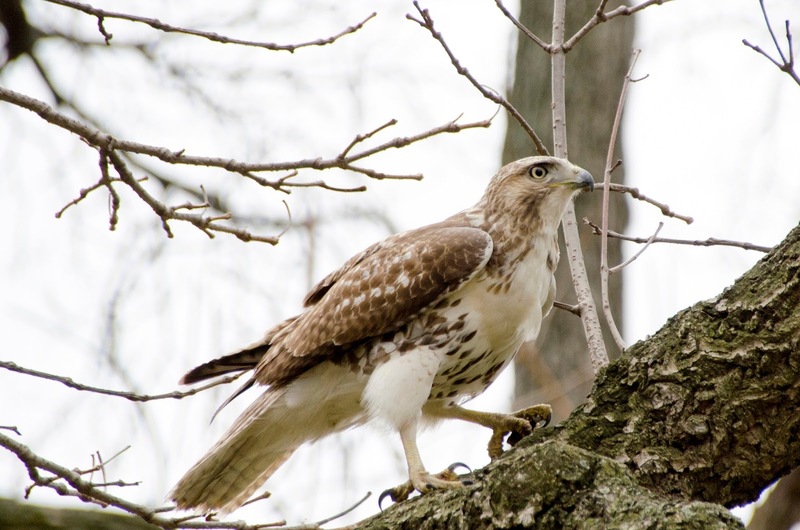 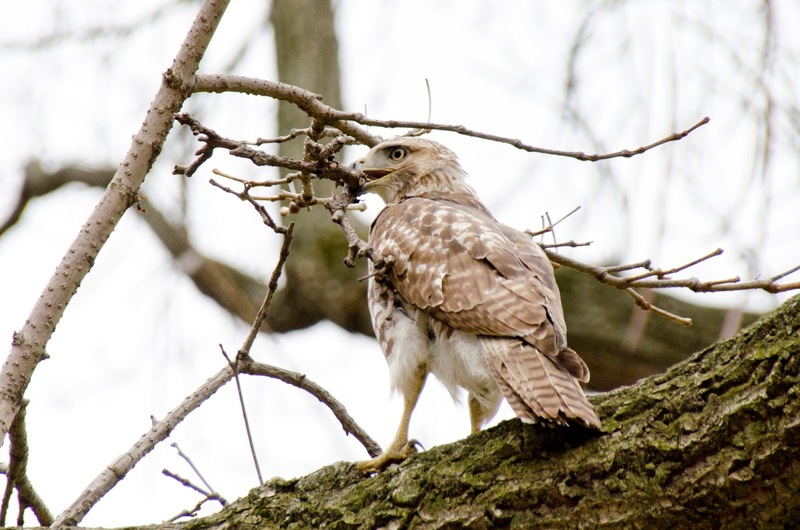 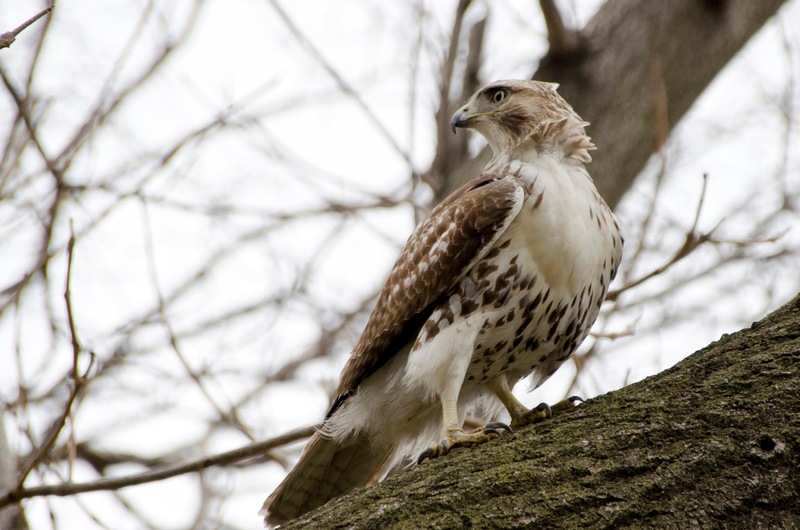 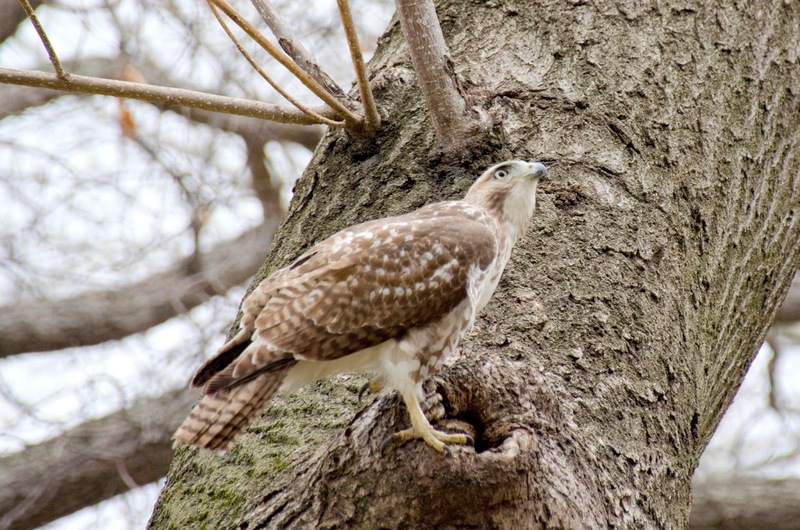 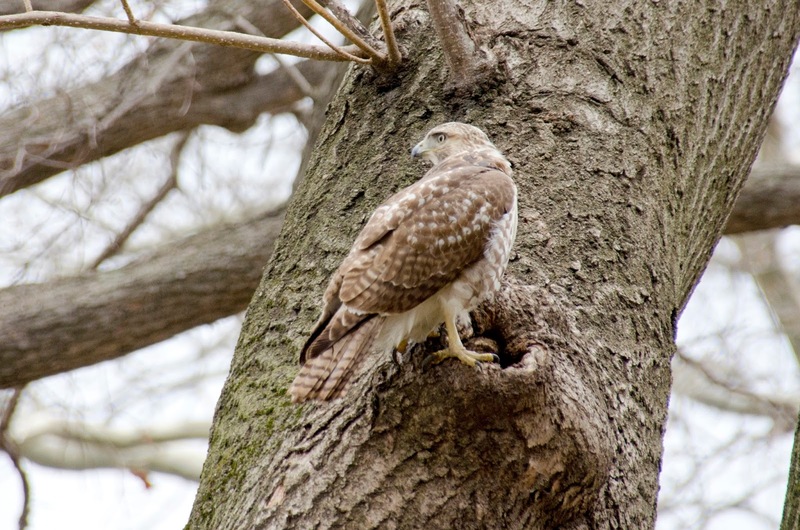 I saw this immature red-tailed hawk last week in Central Park. It was inspecting tree holes. 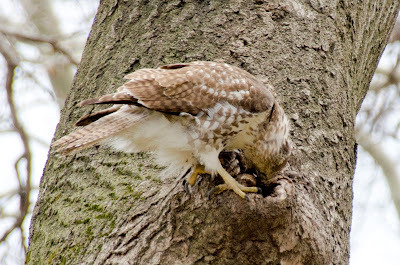 I think it was inspired by the spring weather to think about making a nest. 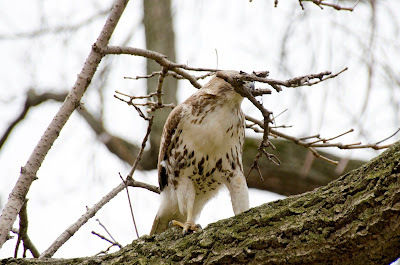 It picked up sticks and carried them, put them down again. almost ready to start building.